"Composition 5" by Jennifer Vanderpool is one of the pieces featured in "Garment Girl." 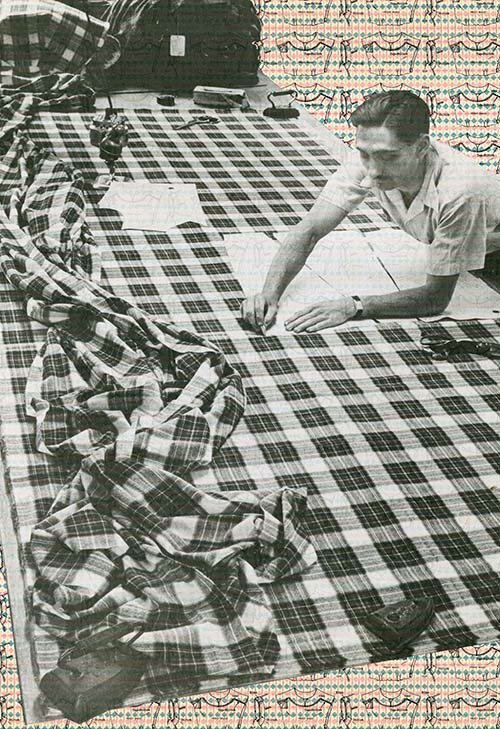 (THOUSAND OAKS, Calif. – Jan. 7, 2019) A California Lutheran University faculty member’s art exhibit exploring the textile industry and labor activism is coming to the Thousand Oaks campus after opening in Vietnam. Admission to the exhibit and events is free. Kwan Fong Gallery is open to the public from 8 a.m. to 8 p.m. Monday through Saturday. It is located in Soiland Humanities Center at 120 Memorial Parkway. The Rolland Art Center is located at 3350 Campus Drive. For more information, contact curator Rachel T. Schmid at 805-493-3697 or rtschmid@callutheran.edu or visit CalLutheran.edu/kwanfong.